Something Very Strange Is Going on! Another "Floating City" In The Sky - Has CERN Already Opened Doorways To Parallel Universe, Extra Dimension Or Are They Preparing Us For An "Inter-Dimensional Savior"? Something Very Strange Is Going on! Another 'Floating City' In The Sky - Has CERN Already Opened Doorways To Parallel Universe, Extra Dimension Or Are They Preparing Us For An 'Inter-Dimensional Savior'? Back in March 2015 ANP detailed statements by scientists and researchers about the dangers of CERN's Large Hadron Collider and the dangerous possibility of opening "parallel universes" and "extra dimensions," and now two separate sightings of what is being called a "floating city" have been captured on video and in images, one in China which ANP reported on here, and now one in the UK, making some wonder if CERN has indeed opened up doorways into the unknown. However, according to Professor Mir Faizal from the University of Waterloo, "Normally, when people think of the multiverse, they think of the many-worlds interpretation of quantum mechanics, where every possibility is actualized," he said to Phys.org. "This cannot be tested and so it is philosophy and not science." Nonetheless, Faizal considers the test for a different sort of parallel universes almost within our grasp. 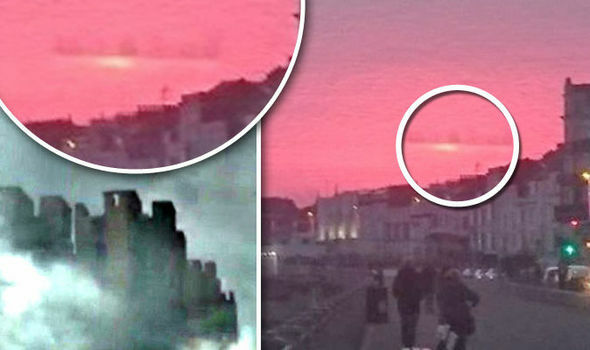 While the "floating city" in China was captured in a 17 second video, the one in Hastings UK was only captured in an image from a distance but as can be seen below from the picture taken from the UK Express, the same type of city-like appearance can be seen. In the bottom left-hand corner of the image above is the screen capture of the "floating city" in China, the top left a closer view of the image on the right, showing the same type of characteristics in what the UK Express headlines as a "parallel universe floating city." Weather experts claim these sightings, two in China and one in the UK, could be optical illusions called Fata Morgana, but the rarity of these types of images, along with other "UFO" type sightings which appear to be increasing in frequency, have some questioning that explanation, especially in light of the unknown and previously discussed possibilities of the CERN experiments. 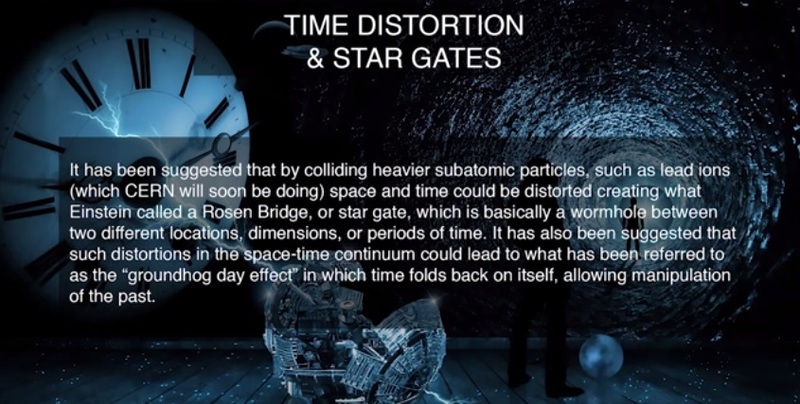 As was explained in the article about the China anomaly, some believe this could be part of a Project Blue Beam Project, using holographic image projection technology, with others believing these sightings are being specifically timed to the CERN powering up issues along with the prior statements from scientists about "parallel universes and extra dimensions" in preparation for the so-called "disclosure." Giving further credence to that third possibility, not only does the original linked article from the UK Express regarding the "floating city" in the UK headline with the words "parallel universe" but yet a second article, from the same publication, headlines with "Scientists at Large Hadron Collider hope to make contact with PARALLEL UNIVERSE in days." Whatever theory your belief system has you predisposed to believe, there is undoubtedly something very strange going on and with CERN scientists preparing to fire the super collider up to its highest energy levels next week, things may possibly get a whole lot stranger as the UK Express reports "next week’s experiment is considered to be a game changer." The second video, a MUST-SEE, comes from the GenSix Productions YouTube channel, where Timothy Alberino does a magnificent job of explaining CERN and delving into the Shiva statue, the Hindu Goddess of destruction which stands outside the CERN facility, to the very name CERN, similar to Cernunno, the Celtic depiction of the "horned god" of death and rebirth, to the strange operatic "Symmetry" dance held within the CERN facility, Alberino describes the consistent, undeniable connections between the "occult, art and science," dating back to the "Father of Science," Sir Francis Bacon. Related: For all the latest and best CERN related information, see Steve Quayle's CERN Super Collider Page.